David Weaver has a diverse and comprehensive background to draw on as a franchise expert and a FranChoice consultant. Having honed his business skills in a variety of ways, he now looks forward to sharing his knowledge and experience with others. David was born and raised in Indiana and got his first taste of business ownership early in life. His father and mother both owned businesses, and that is where, at a young age, he learned the Midwestern values of honesty and integrity in business dealings that he carries with him to this day. By the age of 13 he knew he was going to own his own business someday; he felt that in order to be successful, he would need experience in four key areas – sales, project management, operations, and finance – and he methodically set out to gain experience in each of them. David began his “formal” career as an employee for General Electric, where he managed program sales processes, and then moved on to managing projects for a large manufacturing company. Eventually the family business called him back to help it survive tough times. After ultimately finding a buyer for the family business, David spent the next six years analyzing and underwriting franchise systems across the country in order to establish the “right fit” between the franchisor, franchisee and finance company. The finance crash of 2009 pushed David toward his dream of business ownership, he spent most of that year analyzing 19 different businesses to buy; from bank owned assets, angel investors and private equity firms he learned what it takes to conduct sound due diligence for buying a business and more importantly what questions to ask. His intimate knowledge of franchise systems, years of interaction with franchise candidates before and after they opened for business and personal experience investing in Franchise Assets with his wife, Ann Marie, offers David a true understanding of what works and what doesn’t in franchising. 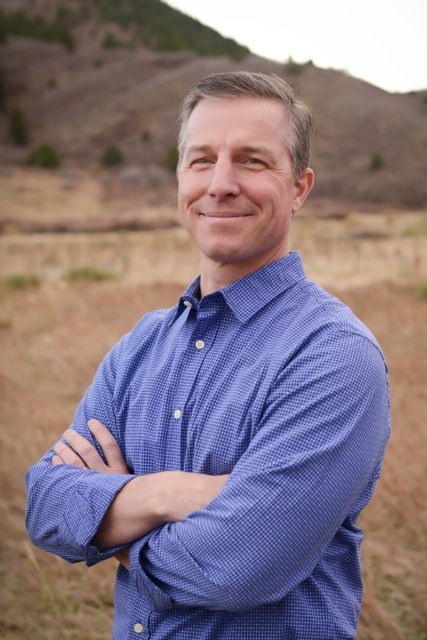 David enjoys the mountains of Colorado with his family; he resides in Littleton, CO. He enjoys spending time outdoors with his family, camping in the summer, mountain biking in the spring, hunting in the fall, and skiing as many days as possible. Ann Marie Weaver is an accomplished, results-driven sales professional with an outstanding track record of achievement and organizational performance. She comes from family business in NW Indiana and believes in high-value, high integrity business with an active involvement in community charities. Starting her career selling copiers to the steel mills of Gary, Indiana, Ann Marie learned business from the bottom up. Her marine-minded father and mentor taught her the art of reading people and a work ethic that can rarely be matched. This tenacity and grit she carries with her in all her business dealings. She has experience spanning over a decade with Paychex – helping small and mid-size companies thrive. From 2013-2017 she tested her corporate background and blended the family business experience into her first investment into the franchise industry with the purchase of (2) locations of Elements Massage Franchise. She developed those businesses into successful assets worth selling. Proving to her that she has what it takes to take a business through its full life cycle. Today she spends her time consulting in the Human Resource function as well as offering insight and experience as a franchise owner to other entrepreneurs and investors. She supports professionals who are seeking an alternative investment in the franchise industry. Specialties include: Business development, marketing, public speaking engagements, networking and cross-referrals of like-minded professionals. Ann Marie is passionate about giving back to the community and does so through running and supporting Team in Training: The Leukemia & Lymphoma Society as well as other local charity groups. She is an avid skier and enjoys spending family time on the slopes of Colorado with her husband and three children. © 2019 Franchise Your Freedom.